Need to rent a machine? 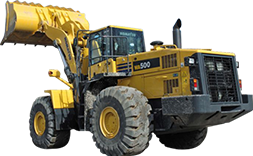 Visit Building Materials Ltd. (do It Center in Providenciles), our Track and Equipment rental store, for all of your construction and other heavy equipment rental needs. Our fleet of machinery, power equipment and work tools is low-hour, well maintained and ready to perform. We help you to pick and deliver your purchase. Get it delivered directly to your home or business. We know that we all have moments when we don’t have enough time or energy – moments when we need a helping hand. That's why we can arrange a menu of services* to help you with everything from putting it together to getting it home. Tool Rentals, Head to Do It Center Providenciales for a full selection. The proper power tool can make almost any DIY or professional project easier. The Do It Center Tool Rental Center offers an extensive array of power tools, including drills, circular saws, impact drivers and more. You can also find many other power tool rentals such as sanders and planers. OUR BACKHOE LOADERS FROM KOMATSU ARE VERSATILE DIGGING AND LOADING MACHINES. THEY ARE POWERFUL, PRODUCTIVE AND HAVE AN EXCELLENT WORKING ENVIRONMENT FOR THE OPERATOR. EQUIPPED WITH QUICK COUPLERS FOR BOTH FRONT AND BACK BUCKETS, BOTH EFFICIENCY AND MACHINE PERFORMANCE ARE BOTH ENHANCED. Building Materials Equipment rental, 75 USD / hour, 75USD / Travel time. Building Materials Equipment rental : 150 USD / hour, 85 USD / Delivery . HAULS UP TO 26 YARDS OF LIGHT MATERIAL (IE. BARK, CEDAR PLAY CHIPS) OR 11 YARDS OF HEAVY MATERIAL (IE. 5/8″ MINUS CRUSHED ROCK) OR 18 YARDS OF TOPSOIL. LIGHT WEIGHT (WITHOUT ANY MATERIAL IN IT): APPROXIMATE 28,000 LBS. LICENSED GROSS VEHICLE WEIGHT: 56,000 LBS. 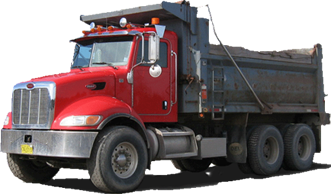 THE TRUCK CAN HAUL APPROXIMATELY 28,00 POUNDS OF MATERIAL PER LOAD. TRUCK LENGTH: 25 FEET. TRUCK WIDTH 8.5 FEET. TRUCK NEEDS A MINIMUM OF 11 FEET OF WIDTH TO GET THE TRUCK THROUGH AN OPENING, SUCH AS A GATE. Building Materials Equipment rental : 150 USD / hour, 300 USD / Delivery . OUR SKYTRAK 6036 IS AN ALL-WHEEL STEER TELEHANDLER AND WITH 93HP IT DELIVERS THE IDEAL BLEND OF POWER AND PRODUCTIVITY TO HANDLE YOUR TOUGHEST JOBS. IF YOU’RE LOOKING FOR A RELIABLE, OPERATOR FRIENDLY TELEHANDLER WITH THE ADDED VERSATILITY OF A WIDE RANGE OF ATTACHMENTS. OURTOWABLE BOOM LIFTLETS YOU TACKLE THE SAME JOBS AS OTHER ELECTRIC OR GAS-POWERED BOOM LIFTS, BUT WITH AN EASIER OPTION FOR TRANSPORTATION. WITH HYDRAULIC AUTO-LEVELING OUTRIGGERS, YOU CAN HAVE THIS EXTREMELY PORTABLE LIFT BROUGHT TO THE JOB SITE AND WORKING IN NO TIME. WHETHER YOU NEED IT FOR TREE TRIMMING, DECORATING, CONSTRUCTION, EXTERIOR PAINTING OR MAINTENANCE TASKS. HAULOTTE SCISSOR LIFTS FIND THEIR USES IN MANY DIFFERENT FIELDS: CONSTRUCTION AND PUBLIC WORKS, CLEANING, EVENTS AND MORE... COMPACT FOR EASY ACCESS TO NARROW SPACES, EQUIPPED WITH ROUGH TERRAIN DIESEL FOR OUTSIDE APPLICATIONS OR SILENT ELECTRIC FOR INTERIOR USE, THE PLATFORM CAPACITY OF HAULOTTE SCISSOR LIFT RANGES FROM 230KG TO 700KG.